There have been any number of illustrators for this delightfully nonsensical tale over the years. The appearance of the characters has also tended to change, according to each artists' style. Each set of illustrations was richly evocative of the tale, however, and each has contributed to our continued enjoyment of this story. The work of several of the earliest illustrators has been chosen for inclusion here, along with two more contemporary artists. Sound a wee bit surreal? Perhaps. But then, so is the story itself. To the best of our knowledge, this BEDTIME-STORY CLASSIC is the only rendering of Alice In Wonderland which successfully melds the nearly complete works of multiple artists with the tale itself. The result is a marvelously entertaining tapestry, embroidered with nonsensical whimsy and displayed at its illustrative best..
Teachers and Researchers: The information you'll find here was carefully researched. If we have inadvertantly erred on identification of any illustration, please bring it to our attention. About the Author: Rev. 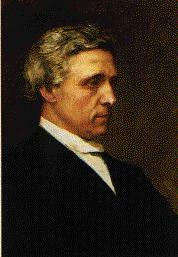 Charles Lutwidge Dodgson, third of eleven children of an Anglican priest, was a mathematician and a logician who was a lecturer at Oxford for some 26 years. He was also an accomplished photographer, and a Church Deacon. Dodgson's pen name, (and the name by which you will undoubtedly know him best), was Lewis Carroll. He is best known for his whimsical tales, Alice's Adventures in Wonderland and Through the Looking Glass. Sometimes to tease us, Mr. Dodgson would stop and say suddenly, 'That's all till next time.' 'Oh,' we would cry, 'it's not bedtime already!' and he would go on. Another time the story would begin in the boat and Mr. Dodgson would pretend to fall asleep in the middle, to our great dismay." "Many a day we rowed together on that quiet stream - the three little maidens and I - and many a fairy tale had been extemporised for their benefit- .. -yet none of these tales got written down: they lived and died, like summer midges, each in its own golden afternoon until there came a day when, as it chanced, one of the listeners petitioned that the tale might be written down for her." It will be a graphics intensive page, so give it a moment to load. 1893 - Y. Crowell & Co.
Dodgson never had the opportunity to create stories for children of his own. Although he lectured in mathematics at Oxford, Dodgson was a profound stutterer, as were six of his seven sisters, and neither he nor his sisters ever married. In the company of the children of his friends, however, Dodgson found emotional respite as well as an appreciative audience for his literary whimsey, and his stutter would lessen appreciably. The man who was described by one of his illustrators as "an interesting but erratic genius", and by another as "impossible! ", died in 1898 at the age of 66. A detailed look at Dodgson is offered by the web site of Christ Church at Oxford. Another biography may be found on the Brown University's web site. You Are Old, Father William - parodies Robert Southey's "The Old Man's Complaints and How he Gained Them." Speak Roughly To Your Little Boy - parodies David Bates' "Speak Gently." Twinkle, Twinkle, Little Bat - parodies Ann and Jane Taylor's "The Star" (1806). When Alice's Adventures Underground gave way to the revised, extended version, which had been renamed Alice's Adventures in Wonderland, the artist chosen to illustrate it was Sir John Tenniel (b. Feb. 28, 1820, London, Eng.--d. Feb. 25, 1914, London). 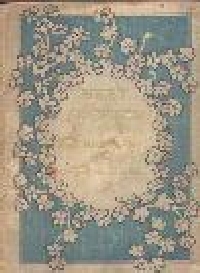 The first edition of that book was published in 1865. There were a number of changes along the way. For example; In the original croquet game sequence, "Alice's Adventures Underground" had Alice using an Ostrich for a mallet. In subsequent versions however, the mallet of choice became the Flamingo, whose beak more closely resembled a mallet. 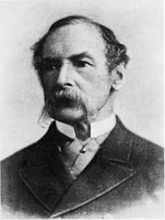 An English illustrator and satirical artist, Sir John Tenniel was especially known for political cartoons appearing in the British magazine, Punch. Today he is perhaps best remembered for his illustrations of Alice's Adventures in Wonderland (1865) and Through the Looking-Glass (1872). Tenniel's black and white illustrations (which to this day remain the most famous) were for the reproductive process known as wood-engraving. 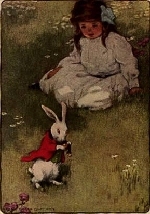 In 1889 Macmillan published The Nursery Alice, a shortened and simplified version for very small children lacking the puns and irony in the original tale. 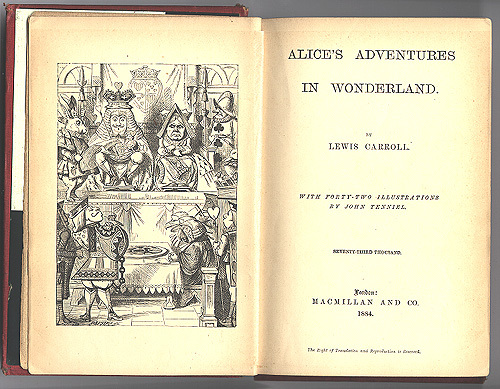 The book's cover described it as "Containing Twenty Coloured Enargements From Tenniel's Illustrations to "Alice's Adventures in Wonderland" With Text Adapted To Nursery Readers by Lewis Carroll" . In 1907, when the British copyright on Alice's Adventures in Wonderland expired, and any publisher was free to create a new edition, several did, and to differentiate themselves from the original, many chose to produce new illustrated editions. A glance at the dates on many of these illustrations however, indicates that many publishers quite simply jumped the gun. There have been any number of illustrators whose work has graced this popular tale over the years. The characters appearance tended to vary, according to each artists' style. 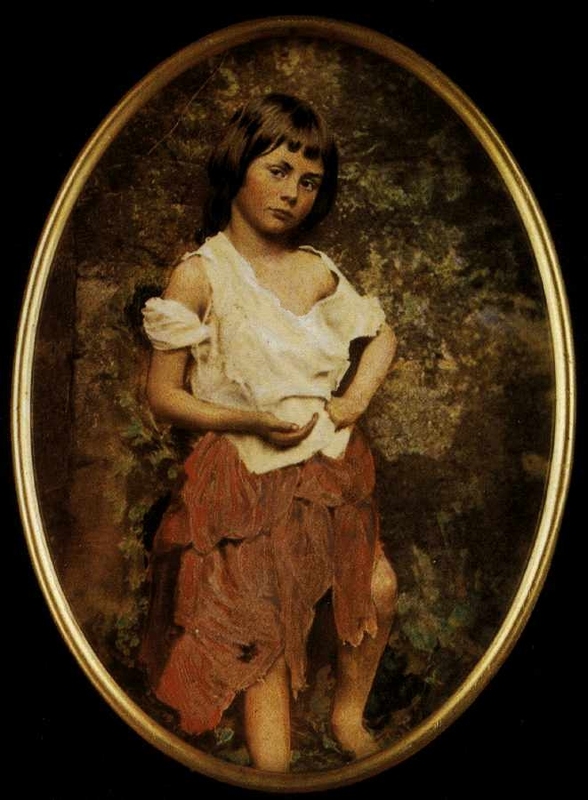 In some cases, it's thought that more than one artist may have drawn Alice to resemble his own daughter. Regardless of artistic liberties taken, each set of illustrations was richly evocative of the tale, and each has contributed to our continued enjoyment of this story. The works of several different illustrators have been selected for inclusion on the Alice In Wonderland story page. The varying styles offer a fascinating window into artistic creativity, allowing us to enjoy the historical as well as the contemporary illustrative renderings of this whimsical tale. Of interest is the radical variation of certain scenes portrayed by each successve illustrator. Also of interest will be variations in Alice's clothing and hair. Details in some of the earlier illustrations are particularly extraordinary. Tea Party scenes, by both Rackham and Jackson, (Rackham to a greater degree of detail) show even the folds in the tablecloth, caused by it having been stored in a cupboard prior to the table being set. Gutmann's rendering of the Frog footman is exquisite, and Rackham's Alice holding the pig-baby is remarkably poignant. The works of nine historical artists are currently displayed. The works of another two artists were chosen to represent more contemporary styles. As additional resources for historical illustrations become available, more illustrations will be evaluated for addition to this tale. In addition to illustrations by the author and by Sir John Tennile, the following artists (listed adjacent to a representative sample of their work) have extensive works which appear on the story page. The listing is in chronological order. Kirk, Maria L. New York: Stokes, 1904. This time there could be no mistake about it; it was neither more nor less than a pig. (L) It grunted again so violently that she looked down into its face in some alarm. (R)The Mock Turtle drew a long breath and said: "That's very curious"
Gutmann, Bessie Pease. New York: Dodge, 1907. (L) It was opened by another footman. (R) The Rabbit actually took a watch out of its pocket. Attwell, Mabel Lucie. London: Raphael Tuck & Sons, Ltd., 1910. Alice in the pool of tears. Jackson, A.E. New York: Henry Frowde, 1914; London: Frowde, 1915. (L) "Please would you tell me," said Alice, a little timidly, "why your cat grins like that?" (R) She was exactly the right height to rest her chin on Alice's shoulder. Hudson, Gwynedd M. London: Hodder, 1922; New York: Dodd, 1922. Newell, Peter. New York and London: Harper and Brothers, 1901. Soper, George. London: Headley, 1911; New York: Baker, 1911. Sowerby, Millicent. London:Chatto and Windus, 1907. Tarrant, Margaret W. London: Ward, Lock and Co. Ltd., 1916. Walker, W.H. London: John Lane, 1907. Woodward, Alice B. London: G. Bell, 1913. Please tell us if you have additional resources. 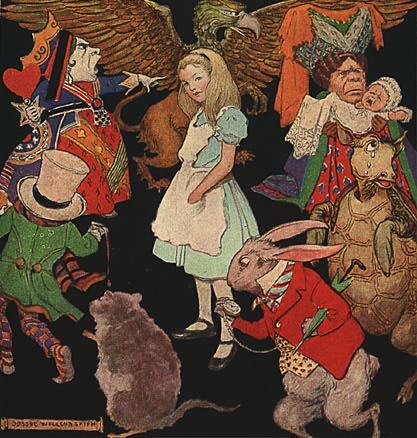 CONTEMPORARY ARTWORK: Outside of the Disney characters, which have become so much a part of the childhood memory of the last several generations, the only other contemporary artist whose illustrations were chosen to be featured on this tale is Marshall Vandruff, who has himself produced all new artwork for Alice In Wonderland. Marshall's delightfully surreal, hookah-smoking Caterpillar was singularly ideal, and met the tone set by Carroll for the dialogue. Marshall Vandruff's client list includes MAD Magazine, Hanna Barbera, Warner Brothers, and many others. This spectacular vertical image from Disney's movie, "Alice in Wonderland" is a framed, Limited Edition print, which measures 18" x 38". Appears Courtesy of American Royal Arts . From Disney's Animated Version, all animation images are Copyright Disney. Disney Video Version is available from the Disney web site. Alice, the Cheshire cat, and the rest of Carroll's marvelous characters were popularized again in the 20th century by the masters of animation at the Disney studios. The 1951 Disney movie version of Alice In Wonderland (now available on video) borrowed elements from more than one of Carroll's tales, however. 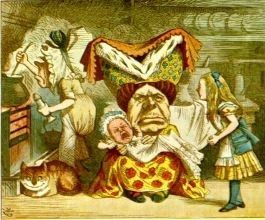 Walt Disney's Alice in Wonderland is based on both Carroll's Alice's Adventures in Wonderland, and the subsequent book, Through the Looking Glass, and What Alice Found There. Because Sir John Tenniel's illustrations for the Carroll books were so well known, Walt Disney acquired the rights to them as the basis for the visual style of Alice in Wonderland. When the illustrative style proved a hindrance to animation, the character designs were freely adopted for the animation form, though still making reference to the well-known Tenniel drawings. The visual development of the characters required an unusual amount of preliminary evolution. Months of rough sketches preceded the final definition on the model sheets which would guide the animators. Disney's animated versions of Carrolls characters have been popular for over four decades, but Carroll's original tale has continued to enchant and amuse us for well over one hundred thirty years. Note from the Author, Lewis Carroll, appended to the Nursery edition published at Easter in the year 1890. An Easter Greeting to Every Child Who Loves "Alice"
Do you know that delicious dreamy feeling, when one first wakes on a summer morning, with the twitter of birds in the air, and the fresh breeze coming in at the open window--when, lying lazily with eyes half shut, one sees as in a dream green boughs waving, or waters rippling in a golden light? It is a pleasure very near to sadness, bringing tears to one's eyes like a beautiful picture or poem. And is not that a Mother's gentle hand that undraws your curtains, and a Mother's sweet voice that summons you to rise? To rise and forget, in the bright sunlight, the ugly dreams that frightened you so when all was dark--to rise and enjoy another happy day, first kneeling to thank that unseen Friend who sends you the beautiful sun? And if I have written anything to add to those stores of innocent and healthy amusement that are laid up in books for the children I love so well, it is surely something I may hope to look back upon without shame and sorrow (as how much of life must then be recalled!) when my turn comes to walk through the valley of shadows. This Easter sun will rise on you, dear child, "feeling your life in every limb," and eager to rush out into the fresh morning air--and many an Easter-day will come and go, before it finds you feeble and grey-headed, creeping wearily out to bask once more in the sunlight--but it is good, even now, to think sometimes of that great morning when "the Sun of righteousness" shall "arise with healing in his wings." of a night that is past! We hope you and your family will enjoy this popular Bedtime-Story Classic. Prepared By: The staff at Bedtime-Story. Teachers, would you and your class like to collaborate on another of our ultimate book reports? Tell us which other Classic tales you'd like to see us add.